The ancient Ayurveda medicine from India dictates that majority of our food should be chewed for optimal health. In a perfect world, we would all be eating perfectly balanced, nutrient-dense meals that we chew, not drink, and there would be no need for concocting elaborate green drinks mixed in expensive blenders. I don’t know about you but my world is far from perfect and eating the recommended amount of vegetables, especially dark leafy greens, feels like a herculean effort. So why drink green smoothies? Besides the fact that you are getting raw greens into your diet that you normally wouldn’t, greens do fantastic things for your body. They are cleansing, promote the growth of beneficial bacteria in the gut, have anti-inflammatory properties and protect against certain cancers. Green veggies are an excellent source of minerals such as calcium, iron and magnesium (which most people lack and then get it in the form of synthetic supplements). Got Kale? Leafy greens contain large amounts of Vitamin K, which plays a super important role in bone health. While bone loss and osteoporosis are a major health concern for western women, countries like Japan with mostly vegetarian diets have a much lower incidence of fractures. For years, we have glorified dairy as a prescription for strong bones, but studies failed to find a link between dairy consumption and lower risk of fractures. The Nurses’ Health Study, a long term study conducted by the Harvard School of Public Health following thousands of nurses, found that individuals who drank one glass of milk (or less) per week were at no greater risk of fractures than were those who drank two or more glasses per week, debunking the hypothesis that high dairy consumption protects against fractures. Confusing right? The little known Vitamin K (not found in dairy!) may very well be the missing link to nourishing our bones (along with magnesium, Vitamin D and weight bearing exercise, but that’s a whole other post)! To me, a green smoothie is a whole food supplement. 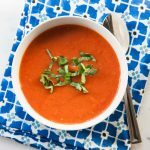 Instead of popping pills, make a batch of this alive food, brimming with nutrients, to ensure you are getting several servings of vegetables that otherwise may be hard to squeeze in your daily meals. Rotate your greens in your daily smoothies for variety and maximum calcium absorption. Some greens (spinach and chard top the list) are high in oxalates, compounds that bind to calcium in the body and decrease its absorption. 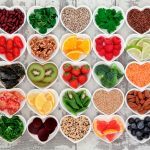 Traditional guidance for people with kidney stones was to limit foods high in oxalates, however, the evidence that this prevents kidney stones is inconclusive. Read about it here. While some people might benefit from reducing high oxalate foods, more recent research indicates that an alkaline diet high in fruits and vegetables and drinking lemon water is a far more effective kidney stones prevention strategy. If you have thyroid problems, listen up. Cruciferous veggies such as kale, broccoli or cauliflower are goitrogenic, meaning they can interfere with thyroid function. Does it mean you should avoid them entirely? No! They are full of micronutrients and anti-cancer antioxidants. Instead of eating them raw, just steam, cook, or ferment them to reduce the goitrogenic properties. Finally, here is my favorite green smoothie recipe. My Flat Belly Green Smoothie will replenish your body with missing nutrients, leave you re-energized and ready to tackle the day with a new sense of self-care. If you are using this recipe as a meal replacement, consider adding a clean plant protein powder (like pea or pumpkin or a couple of tablespoons of hemp seeds) or simply follow with a couple of hard boiled eggs to give yourself a protein boost. Otherwise, you will be hungry by midmorning and reaching for snacks. I make a big batch and store leftovers in glass mason jars in the refrigerator for 2-3 days, so I can have breakfast or snack ready to grab. Having prepared food that is ready to go is the secret to effortless clean eating. Now go make a green smoothie and congratulate yourself for doing something amazing. You took care of YOU! 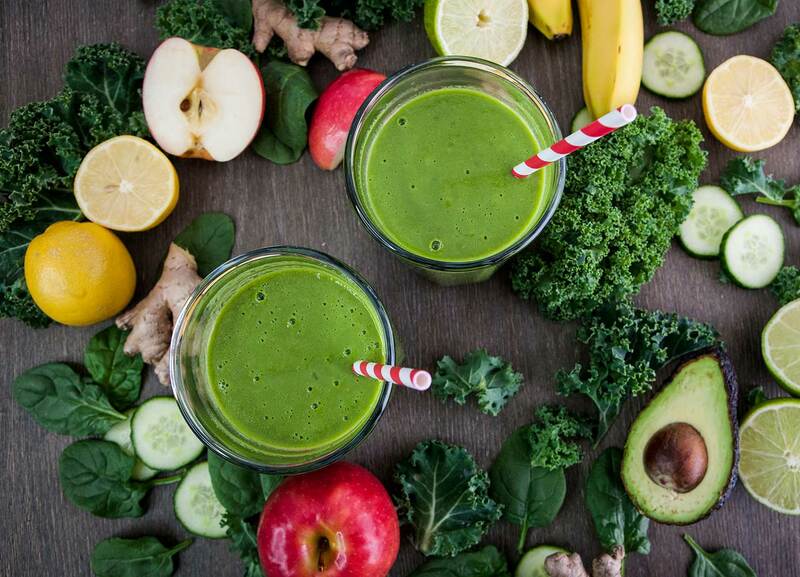 Blend in a powerful blender like the Vitamix. Add more water if the smoothie is too thick. Pour into mason jars, store leftovers in a refrigerators for up to two days.